Malnutrition threatens millions of lives across Africa. Iron deficiency, leads to the body’s inability to carry oxygen in its blood, causing anemia, the world’s most persistent nutritional ailment. In Rwanda, it affects nearly 20% of women and 40% of children under five years old. People suffering from anemia often feel light-headed and weak, and are unable to live their life to the fullest. Increasing iron intake is the easiest way to reduce anemic symptoms. In collaboration with the Rwanda Agriculture Board (RAB), CIAT has developed ten high-iron bean varieties. These iron-biofortified beans were developed using conventional breeding methods and contain 15% more iron than traditional beans, providing up to 45% of daily iron needs. HarvestPlus, a joint venture between CIAT and IFPRI, is a global biofortification initiative that promotes the availability, adoption, and consumption of these beans widely. Local farmers evaluated these beans and found they were high yielding and resistant to most major diseases and pests. Over 20% of bean producers in Rwanda have already begun planting the new high-iron bean varieties. 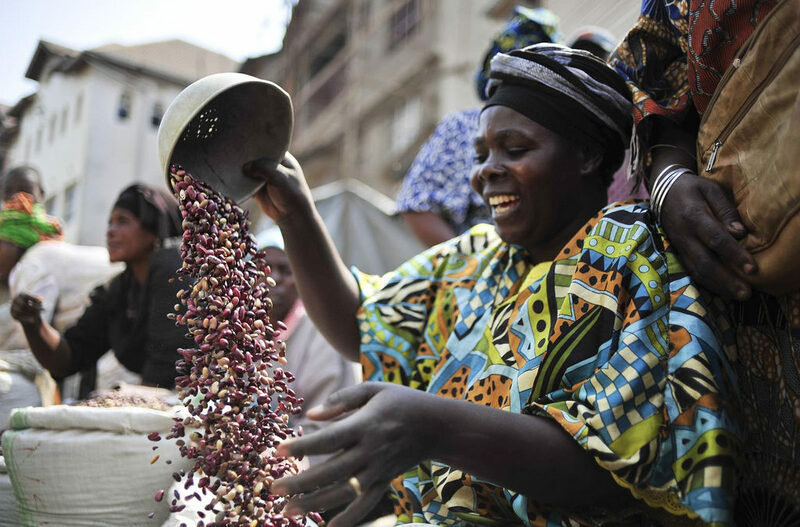 In this Central African nation, where 44 percent of the country’s 12 million people suffer from malnutrition and micronutrient deficiency, biofortified foods such as these beans are seen as a solution to reducing “hidden hunger” – a chronic lack of vitamins and minerals. This means that over 250,000 households now have access to more nutritious foods and the chance to fight anemia. Consumption of iron-biofortified beans over 4.5 months has shown to improve iron status in iron-depleted Rwandan women. These fortified beans are also highly marketable for farmers, who sell them in local and urban markets, increasing their income.